When should you book? Who should you book? Who do you book first? 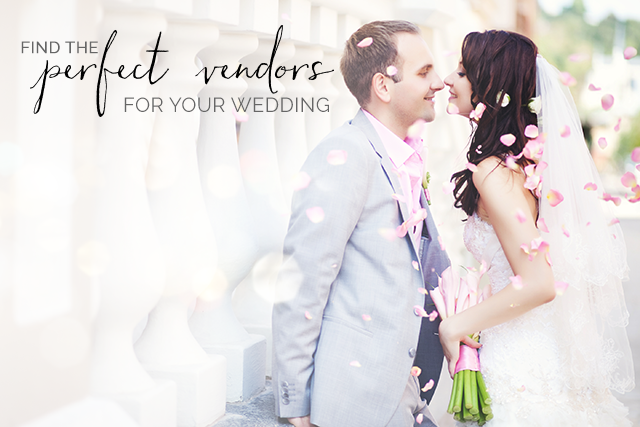 Finding the right vendors is the most time consuming and stressful part of planning a wedding. The entire essence of your day is a collaboration of each vendor you choose. Here are my rules of thumb for booking your vendors. 1. Create an educated budget: Do not set a budget for your wedding until you know average costs in your area. For example, venue costs in Orange County, FL go from approximately $1500-$4000+ per venue. Getting average costs from friends or former brides that live in a different area than you can be of a disservice to you. Do your research or hire a planner prior to making your budget to ensure your budget is realistic. 2. Set an approximate date: Choose 1-3 dates you’d like to have your wedding on. If you have your heart dead set on a specific date you’ll want to book a minimum of 1 year in advance (sometimes 2 depending on the venue). 3. Choose your venue: Now that you have a solid budget and an approximate date you can choose your venue! Many people book their reception first, but without a ceremony you’re not actually married… so planners will advise you to book your ceremony first and then your reception. It all depends on your priorities for venue spaces. 4. Book your “creatives”: Your creative vendors include your planner, decorator, florist, photographer, videographer, baker, and graphic designer/stationary. These are the vendors that are going to play a huge part in the style, design and final product of your big day. They are also vendors that book up quickly and up to one year in advance (sometimes even further). Many of these vendors are booked prior to a consultation or within a week after one so when they say they have an inquiry for the same day you’re going to want to jump on it! 5. Book your remaining vendors: Your other vendors include your JP/pastor, DJ, catering, transportation, dress, etc. By no means does this mean that these vendors are less important, they just tend to have a little bit more give in the time that you can book them in comparison to your “creatives”. Lastly, I’ll note that while books and magazines are very helpful with timelines for booking vendors, it really comes down to market demand. If a vendor is in high demand the sooner you book the better! No one wants to miss out on their favorite vendors and nothing ensures a happy bride more than being organized and booking in advance!